Sounds like a plan, no waste ending up at a landfill site. As businesses have improved and embraced recycling as part of their CSR policies, the statement of “we have a zero waste to landfill policy” has been adopted by many, as we all look towards ensuring a sustainable environment. 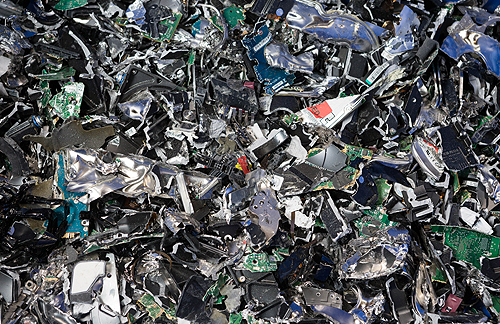 The equipment ICEX collect, is all based around the WEEE regulations and secure data disposal. By controlling the equipment we collect, we are better positioned for the equipment we have for disposal. Approximately 65% of the equipment we process is re-used, this involves being digitally and physically cleaned and moved onto the secondary market, the rest of the equipment we process is recycled accordingly, avoiding landfill. Because we only collect equipment designated as WEEE, we have a disposal stream specifically designed for extracting the different types of material. After our processing, the different materials are sent on to our partners, the components can then be re-used, refined and re-engineered. We are confident that the popular phrase of “we have a zero waste to landfill policy” can be backed up by our processing of equipment into multiple components and then selecting specific recycling partners that can provide proof of their processing.